The freetamilebooks.com site makes hundreds of free ebooks available to readers in the Tamil language. About 15 volunteers compile Creative Commons-licensed writings by popular bloggers into ebook format using Pressbooks.com, then publish them on the freetamilebooks.com site. Started in 2013, freetamilebooks.com has released 210 ebooks to date. Each book gets downloaded at least 500 times, but a few books have crossed the 1,00,000-download threshold. We asked the founder of freetamilebooks.com, T.Shrinivasan, to tell us more about this compelling and successful project. What was the inspiration for the project? What was the need you perceived? When I bought a Kindle to read ebooks, I found there weren’t many Tamil ebooks available for ebook readers. Kindle was not supporting Tamil. Many Tamil-speaking Kindle owners are longing for Tamil ebooks. I realized that we can share content that is licensed under Creative Commons with anyone, and there were many bloggers who produced blogs under the Creative Commons license. I created ebooks from their blogs and shared with friends. When I found Pressbooks.com, which made the ebook creation process a breeze, I decided to start the community project. The FreeTamilEbooks.com project is operated by volunteers, who obtain and verify licensing of the books and publish them to the site. How many volunteers are engaged in the project and how do you mobilize a volunteer force for a project like this? I created and released around 30 ebooks on my own. Then, I documented the process and asked for volunteers in GNU / Linux users groups and Tamil-related mailing lists. Slowly, we built a team of volunteers who take diverse roles like ebook creation, ebook cover design and outreach. All the decisions are transparently discussed and archived in our dev portal. This helps to build trust among volunteers and gives them credit for their work. Our years of experience building communities in the Wikipedia and free and open-source software movements helped to create this system, and we are very proud of it. In fact, we value this system more than the number of ebooks we release. Initially, we made ebooks from blogs that were already released in Creative Commons licenses. Then, we wrote to other bloggers to release their content under a Creative Commons license. After seeing the reception the ebooks got on the site, many bloggers agreed to let us use their content. We have split the entire workflow into various tasks. Each volunteer does a specific task. Our typical ebook creation workflow is as follows. Volunteers compile a list of articles and contact writers for permission to compile these into an ebook. Once the author gives permission, the details are updated in http://dev.freetamilebooks.com, a development portal where volunteers can communicate. Our graphic design volunteer creates a cover image and updates in dev site. The ebook creation volunteer copies the content and pastes it into Pressbooks.com. The publisher verifies the content and exports it into epub, mobi and xhtml formats as well as an A4 PDF and a six-inch PDF. They then publish the files in these formats on the FreeTamilEbooks.com site. A mobile app volunteer updates an XML file in github, so that the Android app and iOS app lists the new ebook. Ebook evangelists spread word of the ebook releases in social media groups and mailing lists. Each role is played by one or two volunteers based on their availability. The entire ebook creation process in well documented. We have tutorial text in English and a tutorial video in Tamil. We also have an introduction to the Creative Commons license in Tamil. We ask the new volunteers to read the tutorial and see the video. This ensures that volunteers are introduced to the ebook creation workflow. Each book is not the whole blog, but rather excerpted parts curated by the volunteers into a new work in ebook form. What tips do you have for selecting content from a blog to turn into an ebook? Most bloggers use categories wisely so that we can pull articles on a specific topic easily. For the blogs without categories, it is a hassle to go through all the posts in the blog. For such blogs, we ask the authors to compile the list of articles to be turned into an ebook. They help with this, as they know their content well. Tell me about your background, and how it lent itself to spearheading this project. I am a free software evangelist working as a GNU/Linux admin in a startup. The Kindle device I bought and the monthslong searches to read Tamil ebooks in Kindle paved the road to this community project. My friend Ravishankar Ayyakkannu has guided the project from the day one. The decision to release only Creative Commons-licensed ebooks, using Pressbooks.com, as well as creating text / video tutorials and a transparent dev portal were all his ideas. What is the best way for readers to get involved or help you spread the word about this project? We ask readers to request that the writers they love to release their contents under a Creative Commons license. Still, there is a lot of fear, uncertainity and doubt about Creative Commons among Tamil writers and bloggers. We ask our readers to share the ebooks they read with their friends as well as to write reviews on their blogs and send encouraging emails to the authors. Also, we always need more volunteers for ebook creation. How does making content available in an ebook format, not just on the author’s original blog, more enticing to Tamil readers? What value does this process add for the audience? This project started with converting content from blogs to ebooks because that was the only content immediately available for us. But, the real mission is to share any book in an ebook format with a liberal license. The reception for ebooks has also motivated authors to release their print-only books as ebooks through our project. Thus, content which was not available so far in digital format is reaching a wider audience. Many of these authors are happy with the reception for their ebooks, which was not possible before. We are now encouraging authors to create their ebooks using Pressbooks.com. They are excited to create their own ebooks, and a few authors volunteer to create ebooks for others too. T.Shrinivasan, B.E, is a systems architect at NetCalyx Software Technologies Pvt.Ltd, Chennai. He has been promoting the Free/Open Source Software and Free Culture movements in Tamil for 10 years. 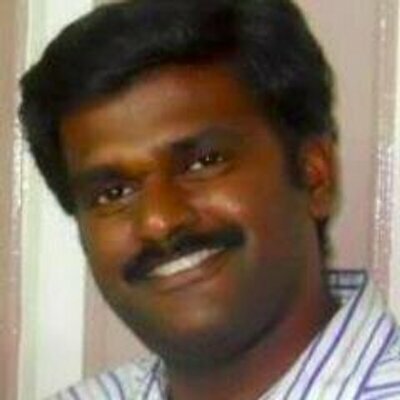 He started an online magazine run by volunteers for Free Software in Tamil, Kaniyam (http://kaniyam.com). He is the former coordinator for the Indian Linux Users Group Chennai and the founder of community project http://FreeTamilEbooks.com, which publishes DRM-free ebooks in Tamil for all devices. You can follow him on Twitter at @tshrinivasan or contact him at tshrinivasan@gmail.com.